The time to act is now. But, many powerful industry interests have hindered action and have, largely through surrogates, spread dangerous myths about climate change. One of the preferred tactics these groups use to sow confusion is to promote studies that either ignore or misrepresent the evidence of thousands of articles published in well-established and well-respected scientific journals, which show that global warming is happening and that it is caused by humans. No matter how much contrarians try to cloak reality, the evidence is not going away. Scientists worldwide agree that global warming is happening, and that human activity causes it. Human influence on the climate system is clear, and recent anthropogenic emissions of green-house gases are the highest in history. […] Warming of the climate system is unequivocal, and since the 1950s, many of the observed changes are unprecedented over decades to millennia. 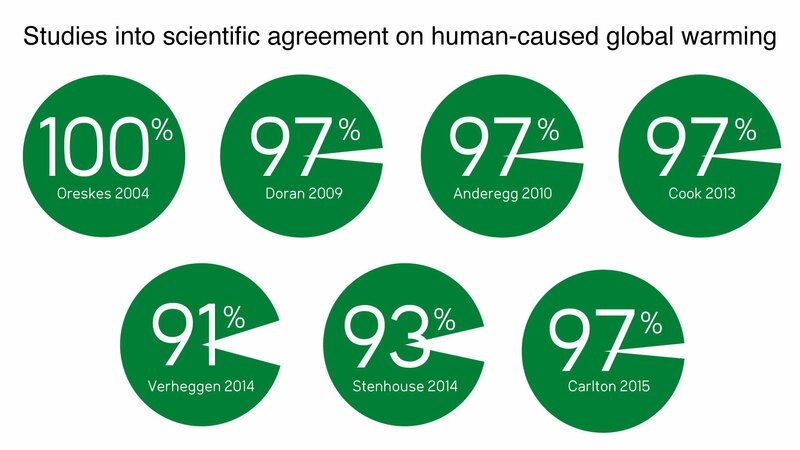 The scientific consensus is clear. Building on two previous studies, a landmark 2013 peer-reviewed study evaluated 10,306 scientists to confirm that over 97 percent climate scientists agree, and over 97 percent of scientific articles find that global warming is real and largely caused by humans. A more recent peer-reviewed paper examined existing studies on consensus in climate research, and concluded that the 97 percent estimate is robust. This level of consensus is equivalent to the level of agreement among scientists that smoking causes cancer – a statement that very few people, if any, contest today. The American public also increasingly agrees that global warming is happening. A 2016 poll from Yale found that 70 percent of Americans believe global warming is happening, while record low number of Americans (12 percent) say the opposite. A Gallup poll from 2017 showed that the number of Americans who worry “a great deal” about global warming has increased from 37 percent in 2016 to 45 percent in 2017. The acceptance of human-caused emissions as the cause of warming is not keeping pace with those that believe it is happening, but it is at 53 percent. There is no shortage of published research on the consensus of climate scientists and climate science when it comes to human-caused global warming. In addition to the references above, you can read about how the discussion on consensus developed over time in these studies. Many different scientific societies in the United States and numerous national academies of science from around the world have also issued statements that verify the scientific claims about human-caused warming (see below). Climate skeptics and deniers often misrepresent “scientific uncertainty” to undermine climate science findings. Therefore, when it comes to scientific consensus on global warming, it is important to clarify what type of uncertainty exists, and what type does not: there is strong certainty on the types of impacts that global warming is causing (or would be likely to cause under a given scenario for emissions), but less certainty on the exact timing and intensity of these impacts. For instance, on the issue of sea level rise, we know with certainty that it will happen – it is already happening – and projections under different scenarios give us a range of possible rise. We don’t know an exact value, however, for future sea level rise, because in large part it is dependent on the rate of future emissions, which is unknown. If emissions continue in a “business as usual” fashion, the sea level rise will be closer to the higher range of projections. But if we significantly reduce emissions, the rise will be closer to the lower levels of projections. The same is true for how much warming will actually happen, or how much land-based ice and glaciers will melt. All these things are already happening, but future rates are not known because they, too, depend on the rate of future emissions. What scientists can calculate quite confidently is a narrow range of outcomes within a given scenario—meaning the likely highest and lowest values if we continue on a certain path of emissions. This information is critical to making smart collective choices and for planning for the future. Uncertainties are not a reason to delay action on climate change. Quite the contrary: those uncertainties are really a consequence of our collective choices, and a risk we must prepare for. You can think about it like car insurance: everyone hopes they won’t be in a car accident but have accident insurance anyway, even though the likelihood is very low. Climate adaptation and climate risk reduction are “insurance” against the effects of climate change, which in contrast are NOT low-probability events, but highly likely and predicted with high levels of certainty under specific conditions. Being prepared for these scenarios is simply smart planning. Nobody wants to be caught unaware and unprepared. Many scientific societies and academies have released statements and studies that highlight the overwhelming consensus on climate change science. 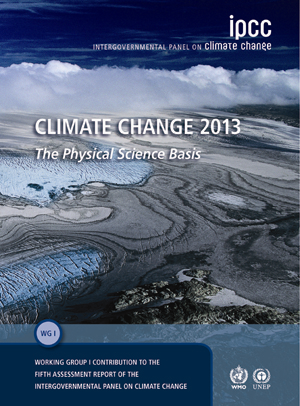 American Geophysical Union: Human-induced Climate Change Requires Urgent Action. "Scientific advances have greatly reduced previous uncertainties about recent global warming. Ground-station measurements have shown a warming trend of ~0.85 °C since 1880, a trend consistent with (1) retreat of northern hemisphere snow and Arctic sea ice; (2) greater heat storage in the ocean; (3) retreat of most mountain glaciers; (4) an ongoing rise in global sea level; and (5) proxy reconstructions of temperature change over past centuries from archives that include ice cores, tree rings, lake sediments, boreholes, cave deposits, and corals." (October 2006; revised April 2010, March 2013, April 2015). “The world’s climate is changing, and the impacts are already being observed. 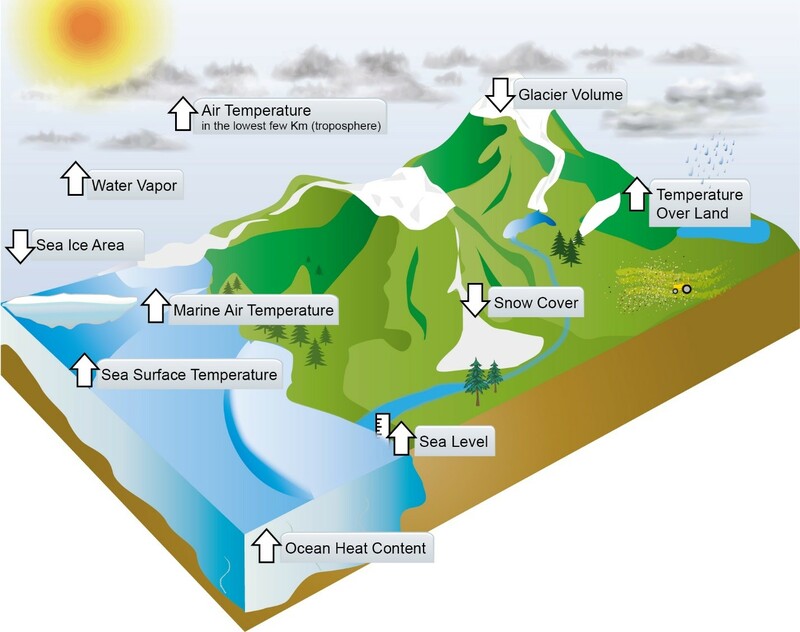 Changing agricultural conditions, ocean warming and acidification, rising sea levels, and increased frequency and intensity of many extreme weather events are impacting infrastructure, environmental assets and human health.” (2018, African Academy of Sciences and the national academies of science of the United Kingdom, Australia, Bangladesh, Botswana, Canada, India, Mauritius, Mozambique, Nigeria, Pakistan, New Zealand, Cyprus, Singapore, Sri Lanka, South Africa, Scotland, Zimbabwe, Kenya, Zambia, Malaysia, Cameroon). “Based on extensive evidence, … it is extremely likely that human activities, especially emissions of greenhouse gases, are the dominant cause of the observed warming since the mid-20th century. For the warming over the last century, there is no convincing alternative explanation supported by the extent of the observational evidence.